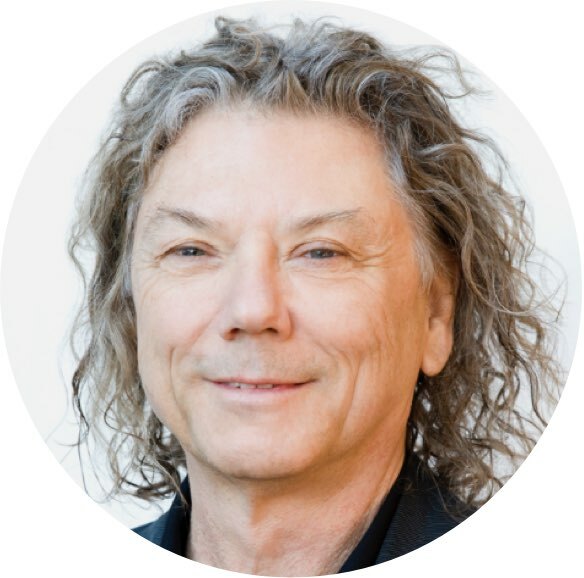 Prior to co-founding Ophirex, Jerry Harrison was a member of the Modern Lovers and the Talking Heads, a successful music and film producer, and a co-founder and board member of a number of start-ups. The Modern Lovers was a seminal band in the development of Punk Rock music. The original group’s highly acclaimed album, The Modern Lovers, was recorded in 1972, but not released until 1976 - after the original band’s breakup in 1974. The Talking Heads’ ten albums are considered one the most important oeuvres in rock and roll history. In addition to their first album Talking Heads ’77, they include: More Songs About Buildings and Food; Fear of Music; Remain in Light; The Name of this Band is Talking Heads; Speaking in Tongues; Little Creatures; True Stories, Naked; and the album and film Stop Making Sense. The influence of the Talking Heads and their albums on music and musicians continues to this day. As a member of the Talking Heads, Mr. Harrison was inducted into the Rock and Roll Hall of Fame in 2002, won "Best Group Video" at the MTV Video Music Awards in 1987 and with engineer E.T. Thorngren, won five awards at the 2005 Surround Awards for the 5.1 remixes of the Talking Heads’ albums. He also received a Grammy nomination for the album design of Fear of Music in 1980. Mr. Harrison has three solo albums to his credit: The Red and the Black; Casual Gods; and Walk on Water. He has also been a successful music producer since 1981, among the more notable artists he has produced are: The Fine Young Cannibals; Violent Femmes; Bodeans; Crash Test Dummies; Live; Kenny Wayne Shepherd Band; No Doubt; Foo Fighters; Verb Pipe; and the Von Bondies. His most recent productions have been The String Cheese Incident’s Song in My Head and Believe and Stephen Stills, Kenny Wayne Shepherd and Barry Goldberg’s, The Rides. Blues from the Backroads and Take Me to the Rive. 10 Days Out, Blues from the Backroads follows Kenny Wayne Shepherd and Double Trouble as they travel across the south meeting and performing with local blues musicians as varied as B.B King to Etta Baker. Take Me to the River chronicles the rise, fall and that fall’s relationship to the assassination of Dr. Martin Luther King, and finally the rebirth of the Memphis music scene. The winner of the 2013 SXSW (South By Southwest Festival) “Audience Award” and the 2013 London Raindance Film Festival’s “Feature Film of the Festival Award” Take Me to the River includes new performances pairing R&B legends: Bobby Blue Bland, William Bell, Bobbie Rush, Otis Clay, Booker T. Jones and Mavis Staples with young Memphis musicians and rappers such as Yo Gotti, Al Kapone, Fraiser Boy, Li’l Peanut and the North Mississippi Allstars. Along with its upcoming digital release, the Take Me to the River project has partnered with the Berkeley School of Music’s outreach to urban school systems. Building on his knowledge of computers from learning PPL while at Harvard and his work at Cambridge Computer Associates, a systems and software development company, in 1975 and 1976, and being actively involved with the companies that brought computerized control to both keyboards and digital recording, Jerry became involved in the burgeoning intersection between music, technology and social media when he and his family moved to San Francisco in 1994. In 1996, he joined the Board of Advisors of Liquid Audio. Along with RealNetworks' RealAudio, Liquid Audio was one of the two emerging online audio standards in the 1990s. In 1999, Mr. Harrison co-founded Garageband. Garageband—not to be confused by the Apple program, Apple licensed the name from the original company—was one of the inventors of crowdsourcing. It used a sophisticated rating system to generate popularity rankings for each artist, the top artists were offered a recording contract by the company. The site was also used by music fans to discover new independent artists in the site's vast collection, as well as a resource for musicians who were seeking greater exposure and critical insight provided by an audience of their peers. Renamed iLike, the company added products which enhanced itunes and became the predominant music app on Facebook when Facebook opened its platform to outside apps. The company grew to 60 million users and was sold to Myspace in 2009. In 2003, Mr. Harrison joined the Board of Directors of IODA, the Independent Online Distribution Alliance. IODA provided the link between independent labels and music download sites, e.g. iTunes and Amazon.com. IODA was sold to Sony Music in 2009. Mr. Harrison served on the Board of Advisors of MicroUnity Systems Engineering since 1988 and joined its Board of Directors in 1996. MicroUnity successfully developed and extended microprocessors beyond their historical role as calculating and control devices by making them the primary media-processing engines of televisions, mobile computers, smartphones, and other digital communications devices. Today MicroUnity’s methods and technology are used in over five billion devices worldwide. LLC, a venture capital group devoted to climate mitigation with a particular focus on sustainable agriculture and solar technologies. Mr. Harrison is on the Board of Directors of Venearth supported companies Carbon Gold, Inc. and Anthroterra, Inc. In 2016, Mr. Harrison is a the Co-Founder of RedCrow™ Inc. an equity niche-funding platform presenting professionally vetted investment opportunities in innovative healthcare startups. Founded in 2016, the RedCrow™ mission is to democratize the investment process for people otherwise shut out of early-stage investing opportunities. Mr Harrison has a B.A. from Harvard College, studied at Harvard’s Graduate School of Design, and has an Honorary Doctor of Fine Arts from Rhode Island School of Design.